Kick it Up a Notch at METC with Featured Speaker Nikki Robertson! Alabama. She is passionate about 1:1 Digital Initiatives, collaboration with other education professionals, and assisting students in becoming well informed, critically thinking digital citizens. As a featured speaker at METC 2016, Nikki will be presenting a three-hour preconference workshop on Monday, February 8, as well as breakout sessions on February 9 and 10. On Wednesday February 10 she will be the keynote speaker for the Library and Media Literacy Luncheon. Nikki is the co founder of EdCamp Atlanta, a free “un-conference” committed to reaching educators in public, private, charter, and higher ed environments to share innovative instructional strategies and pioneering technologies that transform education for all students. She co moderates the #TLChat LIVE! Twitter Sessions the 2nd Monday of each month, which provide a forum for school librarians to discuss current teacher-library topics. Nikki also produces and co-anchors TL News Night, a LIVE show presented in news show format featuring a Wrap up of “This Month in School Libraries” and deeper discussion of topical school library issues with special guest experts. Her latest endeavor is organizing the Google Hangouts for Education website which is a place where teachers with their students can connect, learn, share and grow together as a community using Google Hangouts on Air. We’re excited to share our MIDWEST SPOTLIGHT EDUCATOR bios on The Connected Classroom! These K-12 educators demonstrate motivation, engagement, transformation and connection while using technology to improve teaching and learning. They will share their best practices at the MIDWEST EDUCATION TECHNOLOGY COMMUNITY CONFERENCE in February. This year, we have educators from across the state of Missouri presenting. The METC 2016 MIDWEST SPOTLIGHT EDUCATORS were selected by the METC Conference committee. Kim Lindskog is a part of the Teaching, Learning and Accountability team as a Library Systems Support Specialist in the Parkway School District. 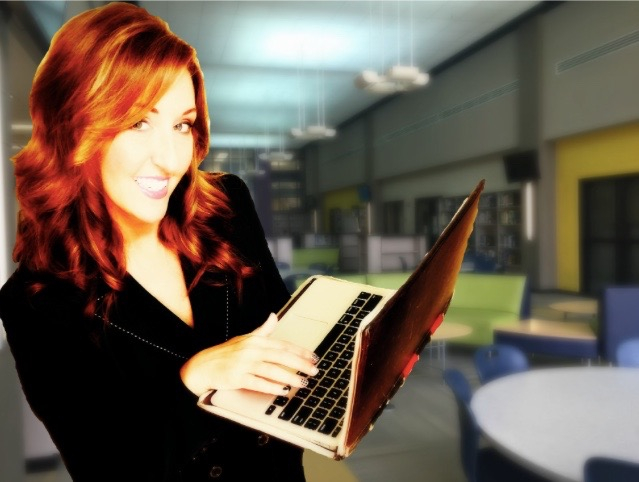 She embraces her role in supporting librarians and sharing her knowledge with districts across the area by regularly presenting at conferences including ISTE, METC, M3, MASL and SLRLN. Kim’s focus is to help define what it means to be a digital age librarian, craft spaces that promote individual and community growth and create opportunities through transformative ideas that change the connection from the past to the future for library programs. Kim is able to work with both students and adults to make technology integration, reading and information literacy an authentic part of the classroom experience.